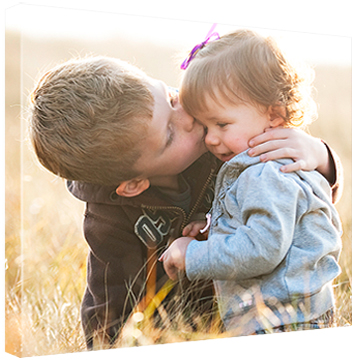 Canvas on Demands takes your prized photograph and transforms it into an amazing canvas work of art. You have two rendering options to choose from. You can select PhotoRealistic, bringing your photo to full life even more vivid than the original, or PixelPainting, which appears to have been produced by delicate strokes of an artist's brush. Additionally, you have two primary finishing options. The canvas can simply be stretched and framed to your specifications, or it can be Gallery Wrapped, stretching the canvas over a wooden frame so that the edges of the material are drawn around it. Did we take the photo? Contact us to order one for you.